We continue to remove sprayed asbestos coating applied to steel beams in every ceiling void throughout the hospital and thermal insulation debris beneath paint on concrete substrate, whilst ensuring all hospital utilities such as power, water, gas and fire alarms are not compromised at any stage during the process. The project requires us to create, manage and deliver a specialist supply chain including licensed scaffolders, hoarding contractors and trained asbestos electricians who must enter our enclosures to survey and then identify which services are live and which services can be isolated before removal commences. 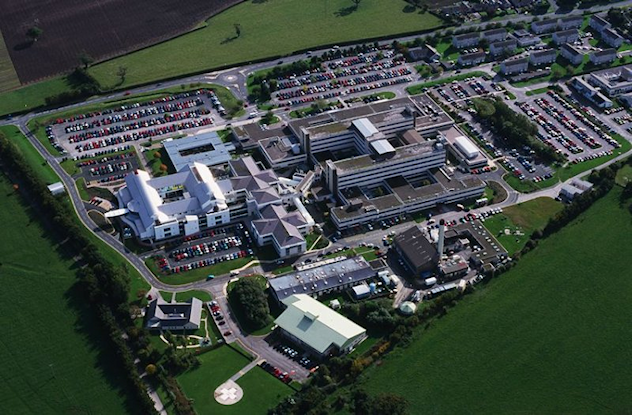 In April 2011 Woods were installed as the emergency call-out contractor for all asbestos works to the health board’s property portfolio which includes Glan Clwyd Hospital. This separate contract requires us to be on-site every day at Glan Clwyd and on-call out of hours every day 365 days a year with the commitment and ability to be on-site if required within 40 minutes of an emergency. The project requires us to work weekends and out of hours and includes the provision of an emergency response service.